Eddie Sacks was just a college kid at the University of Maryland, when he got the summer "fill in" job at WTOP. He worked mainly the "graveyard shift" where they figured he couldn't do too much harm. I happened to be working the same shift. And probably for the same reason. I tried to give the kid a pretty hard time, but he was too competent and likable for me to keep up the facade for very long. 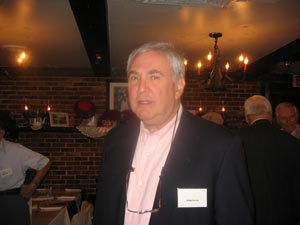 Eddie went on to a very distinguished career in Washington Radio, becoming the "John S. Hayes" of WWDC (he was instrumental in bringing Howard Stern to prominence ) but more important than that was his leadership in the birth and growth of DC 101 as an album oriented rock station that became dominant in the market at the time. Eddie now operates his own successful national communications company. Anyway, he has just become a Grandfather! 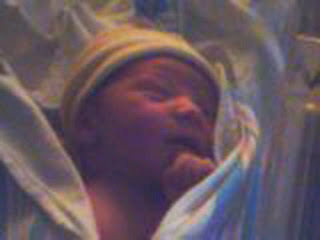 His first grandchild is a boy, tentatively named Nico who weighed in at almost 7 lbs and 21 inches long! Talk about feeling OLD! I think I'm going to hide under my bed for about a week. Anyway, we all know who is now NUMBER ONE in the Sacks household market: "NICO" ! Meanwhile CONGRATULATIONS to all who were involved in this latest miracle! !